Dr Elmanharawy commenced his training in Implant Dentistry and placed his first implant in 1996. In 2006 Dr Elmanharawy completed his three years formal training in Implant Dentistry at the Royal College of Surgeons of England and was awarded the prestigious college implant diploma (Dip Imp Dent, RCS (Eng.) and the Advanced Certificate in Dental Implantology from the same faculty. Within less than a year from achieving the Royal college diploma award, he was able to complete and present his thesis on Immediate Implant placement to London University, and gain his second Masters Degree in Implant Dentistry (Lond.). In 2004, Dr Elmanharawy completed three years higher diploma course in postgraduate Dental Studies at Bristol University (Fixed and Removable Prosthodontics and Periodontology.) He was awarded the degree in 2004. In recognition of his experience in delivering the highest standards of general as well as implant dentistry he was awarded the Fellowship in Dental Surgery from the Royal College of Surgeons of Edinburgh and the Fellowship in General Dental Practice the Royal College of Surgeons of England. Dr Elmanharawy is the principal Implant Surgeon and the clinical director at the Cottage Implant Clinic where he revolutionised the practice over the past few years to become a state-of –the-art implant dedicated referral centre. Supported by a very experienced and qualified team, the Clinic takes on referrals from complex implant and surgical reconstructive treatments from other dental practices in Wiltshire and other parts of England. He is also a referral implant surgeon for Ankylos implant system and previously worked as a consultant in Oral Surgery at the Care UK NHS Hospital group. Dr Elmanharawy lecturers nationally and internationally on implant dentistry, and mentors other dentists on placing and restoring dental implants. 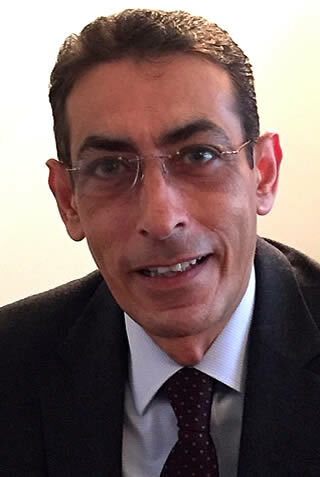 Dr Elmanharawy is a regional mentor for the Association of Dental Implantology (UK) and a visiting lecturer on many implant courses in the UK. LDS RCPS (Liscenciate in Dental Surgery) , The Royal College of Surgeons of Glasgow. Faculty of the General Dental Practice, the Royal College of Surgeons of England.